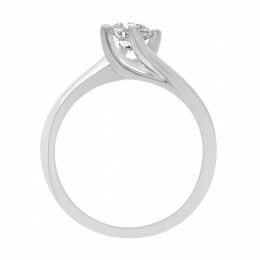 “Tess engagement ring” A stunning four claw twist engagement ring with a beautiful round brilliant diamond. A knife edged shank with a twist. It has a wonderful visual impact. Exposing beautifully the diamonds beauty from all sides. An elegant piece. 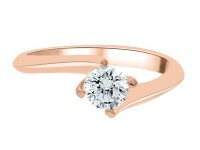 The ring pictured has a .70ct E SI1 certified by GIA. This style of ring is available starting from €2,000. 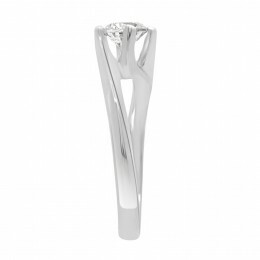 This engagement ring is available with a selection of plain/patterned and matching diamond wedding ring. 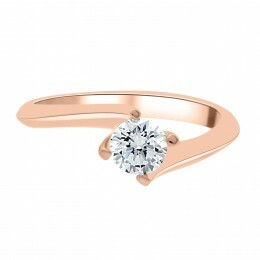 It is available in white gold, platinum, yellow gold and rose gold.